Zavodnick, Zavodnick & Lasky, LLC > Blog > Workers' Compensation > Why Has Your Employer Scheduled An IME And What Is an IME Anyway? Why Has Your Employer Scheduled An IME And What Is an IME Anyway? You were hurt at work and a workers’ compensation claim was set up by your employer and its insurance carrier. Hopefully you consulted with an experienced Philadelphia workers’ compensation attorney right away and learned that, in all likelihood, despite what your employer was telling you at the time, you actually were able to see a doctor of your choice. Either way, whether you were forced to treat with one of your employer’s panel doctors or whether you began treating with a doctor of your own, your treatment began and you are happy with the treatment and attention you have been getting. Then you open your mail to discover a letter from the workers’ compensation insurance company informing you that you have been scheduled for an Independent Medical Examination (IME) with a doctor whom you have never heard of. Naturally, as this may be your first work injury, you are confused. Despite the label placed on the examination by employers and insurance companies in Pennsylvania, there is nothing independent about an IME exam. The doctor is handpicked by your employer, and paid rather handsomely to perform the examination. The doctor is provided with medical records and other information regarding whether or not your employer is contesting or fighting your workers’ compensation claim directly from the employer, insurer, or its attorney. The doctor will specifically inform you at the beginning of the examination that you are not a patient of his and that nothing you say is confidential, which is fundamentally different from the typical doctor/patient relationship and privileges which attach to that relationship. The IME doctor will oftentimes be provided with surveillance video of you performing activities around your house or driving your car that you didn’t know existed. The doctor will generate a report that goes directly to the employer and insurance company and will not discuss his opinions with you at all. This is not an independent medical examination-rather, it is a defense medical examination and it is best to keep this in mind before, during and after attending the examination. So Why Does Your Employer Want You To See Their Doctor? Now that you realize that the IME is not an independent examination at all, the question presented is why does your employer want you to see a different doctor now? Under Pennsylvania’ workers’ compensation laws, your employer generally has the right to ask you to attend an independent medical examination once every six months. There are a variety of circumstances and reasons behind such a request. First, your attorney may have filed a Claim Petition alleging a work injury that your employer has denied. You have been treating with your own doctors and the case is in litigation. The employer will want to have you examined to obtain an opinion from a doctor that the employer can then rely upon in defending the Claim Petition. Assuming that your claim was granted at some point following your work injury and you are receiving workers’ compensation benefits, there will come a point in time when your employer and its insurance company will grow tired of continuing to pay you wage loss benefits and for your medical treatment. They will decide that they need an updated medical opinion from a doctor they select and trust. Again, they are entitled to have you examined generally once every six months under the law, so they will send you a letter asking you to attend the examination. If you do not attend they can file a petition to compel your attendance with a workers’ compensation judge. If a judge issues an order directing you to attend the examination and you still do not attend, the judge can order your benefits suspended until you attend a rescheduled examination, meaning that you will stop receiving your checks. If you are scheduled for an IME and would like the insurance company to arrange for transportation to and from the examination, you should contact your Philadelphia workers’ compensation attorney and ask that transportation be set up. The insurance company will always arrange for transportation to and from IMEs. One thing to be aware of is that insurance companies frequently try to obtain surveillance video of injured workers on the day of the IME. The reason is that they hope to catch the injured worker engaging in activities that are inconsistent with the limitations he communicates to the IME doctor. You do not need to bring anything to the examination. While the letter scheduling the examination will ask you to bring all diagnostic studies and other records, your only obligation under the law is to attend the examination. If the insurance company wishes to provide the doctor with MRI and/or x-ray films, the insurance company can certainly do so. Remember, this doctor is not your friend, and you certainly don’t need to do anything to help him other than attend the examination and be cooperative and pleasant. Cooperative and pleasant. Remember, the IME doctor is just doing his job. There is no reason to be nasty or combative during the examination. This can only hurt you. Chances are the IME doctor is going to say you are fine anyway, but why give him an additional reason to issue an unfavorable report? Tell the doctor when what he is doing hurts. It is important to actually tell the doctor when one of his tests causes you an increase in pain. If you merely grimace or grunt and think that the doctor is understanding that you are experiencing increased pain you will be surprised when you receive a copy of his report down the line and it indicates that you did not complain of any pain during the examination. Say it, and make sure the doctor hears you or it won’t make it to the report. While it is important to tell the doctor what hurts and when it hurts during the examination, remember, the IME doctor is not trying to formulate a treatment plan or help you in any way. He will perform tests on you that should not produce pain in the injured body part and if you report pain he will use that to suggest that you are lying, malingering or in some way exaggerating your symptoms. Many injured workers think that everything the doctor does is supposed to hurt-otherwise why would the doctor be doing it? Well, he is doing it to trick you, so make sure you are honest and only report that which actually hurts or you will not like the report you receive calling you a liar. Will Your Workers’ Compensation Attorney Attend The Exam? After you receive the letter from your workers’ compensation lawyer you wonder whether your lawyer will attend the IME. Generally, the answer is no. Under the law, your attorney has no right to be present during the examination. Your attorney may hire a nurse to attend the examination, and the nurse has an affirmative right under the law to attend, but the injured worker’s attorney does not have the same right. That said, there is nothing that prohibits the lawyer from attending the examination, meaning that if your workers’ compensation attorney attends the examination and the IME doctor does not ask the attorney to sit outside, the attorney may stay for the exam. Interestingly, in car accident cases, an IME is considered an adversarial proceeding and your car accident lawyer has an absolute right to attend. For whatever reason, when the workers’ compensation laws were created attorneys were not given such an absolute right. Even though there is no absolute right to attend, the Philadelphia workers’ compensation attorneys at Zavodnick, Zavodnick & Lasky, LLC do in fact attend IMEs with our clients when at all possible. We understand that these appointments can be stressful for injured workers, and we want to make sure that everything goes smoothly and there are no issues before, during or after the IME. 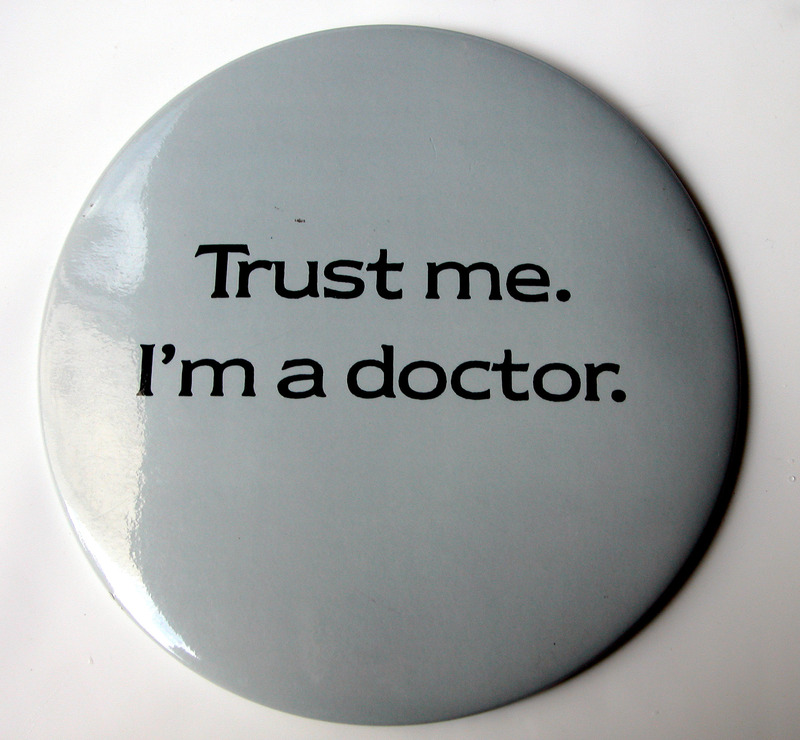 Occasionally an IME doctor may ask us to wait outside during the examination, but by and large, most IME doctors have nothing to hide and are more than happy to have one of our attorneys sit in during the examination. When Will You See The Report And What Will They Do With It? Generally, the IME report is sent to the insurance company within 30 days or so of the examination. That does not mean that you or your workers’ compensation attorney will receive it right away though. If the case is in litigation on a contested Claim Petition, your attorney should get the report pretty quickly. However, if your claim is not in litigation it is possible that you may not see the report for weeks, months or at all, particularly if the report is not helpful to your employer. If the IME report indicates that you are capable of returning to work in some capacity, the law requires the employer to sent out a form called a Notice of Ability To Return To Work with the report attached. If the case is in litigation on a Claim Petition and the IME doctor opines that you are not hurt or are able to work, the employer’s attorney will schedule the IME doctor’s deposition and they will rely upon that deposition testimony in defense of your workers’ compensation claim. The assigned judge will issue a decision at the conclusion of the case and will either believe your treating physician or the IME doctor. If the case is not in litigation, the answer to what the employer will do with the IME report depends on what it says.If the report is favorable to you and indicates that your condition and/or ability to work is unchanged, the employer may do nothing with the report or may try to settle your case. However, if the IME doctor indicates that you have fully recovered from your injuries, the employer will likely hire an attorney and will file a Petition to Terminate your workers’ compensation benefits. You will have every opportunity to defend the petition in court so don’t panic! If the IME doctor indicates that you have not recovered but are capable of working in some capacity, your employer may use the IME report as the basis for a light-duty job offer, or, alternatively, the employer may hire a vocational counselor to interview you and determine whether there are other jobs out there that you are capable of performing and qualified for. The employer could then use the vocational report as the basis for filing a Petition to Modify or Suspend Compensation Benefits. If you have been injured at work, contact one of our Philadelphia workers’ compensation attorneys today for a free consultation or call (215) 875-7030. Don’t wait until it is too late!